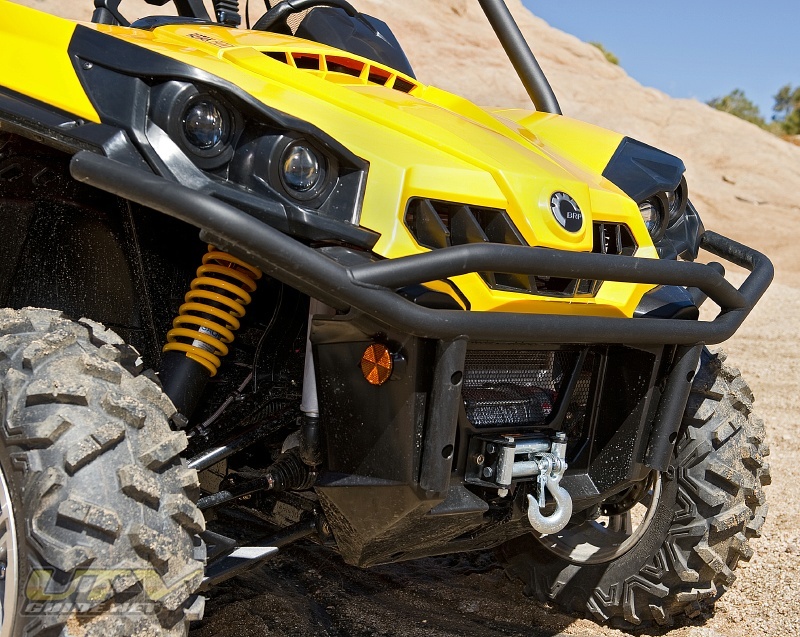 "BRP continues to set the pace in product innovations. 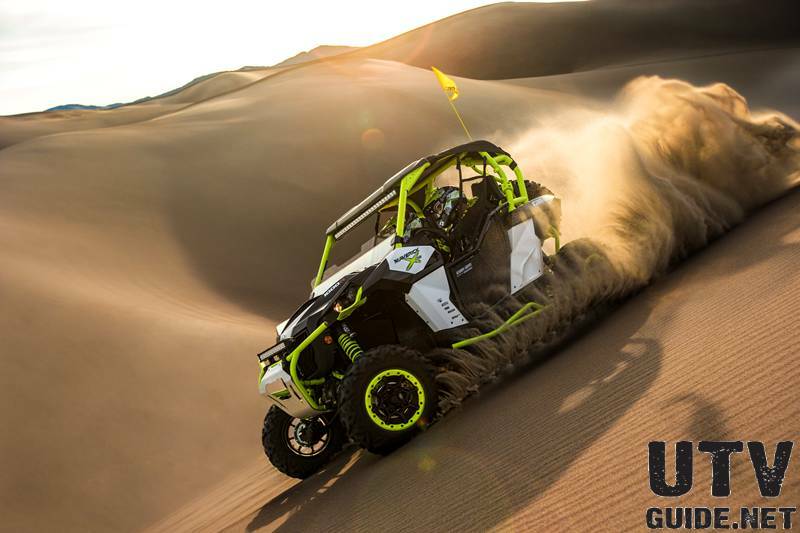 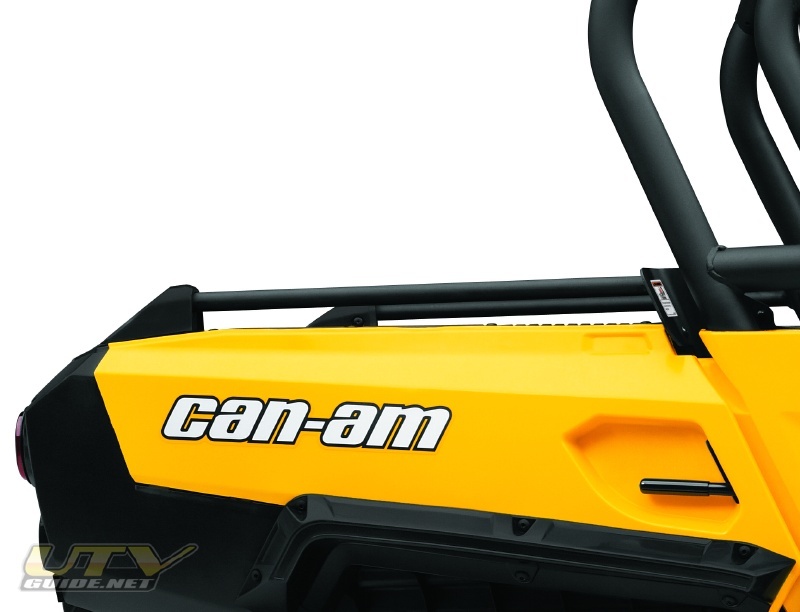 Capitalizing on the Can-Am brand growth momentum, we are entering in a new business segment with the Commander, which completes our product offering for on and off-road customers," said José Boisjoli, president and chief executive officer. 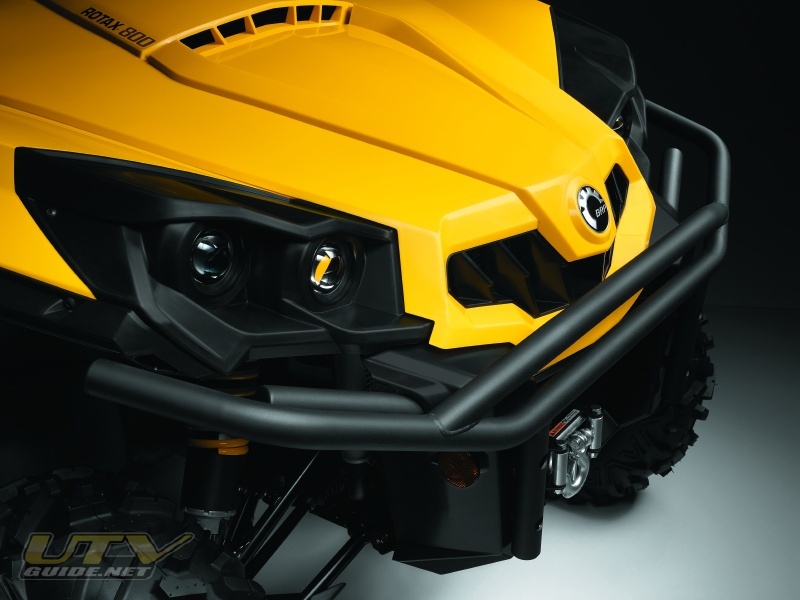 "When we started to design the vehicle, we were determined to offer consumers a vehicle that would meet our Can-Am brand promise of delivering an exceptional riding experience. 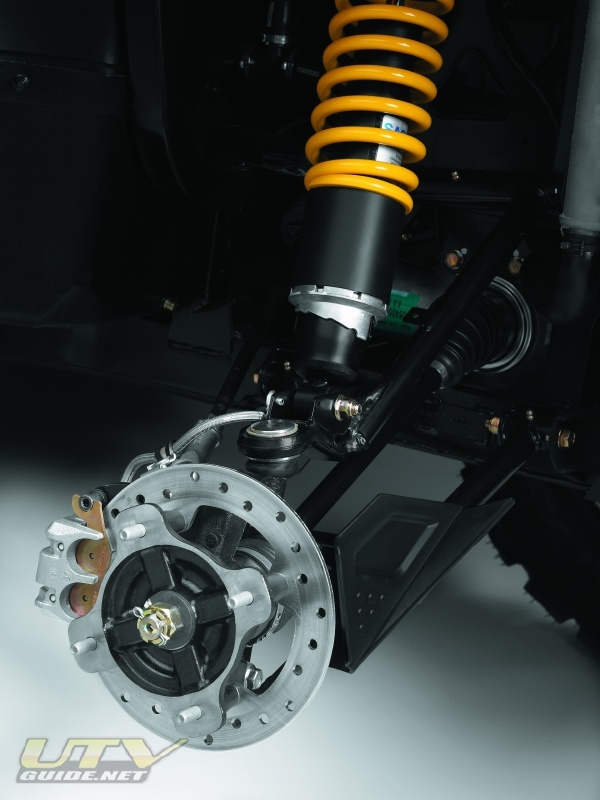 This focus on the customer also means our dealer network will have a vehicle that will raise industry standards and re-shape market dynamics as we know them today," added Boisjoli. 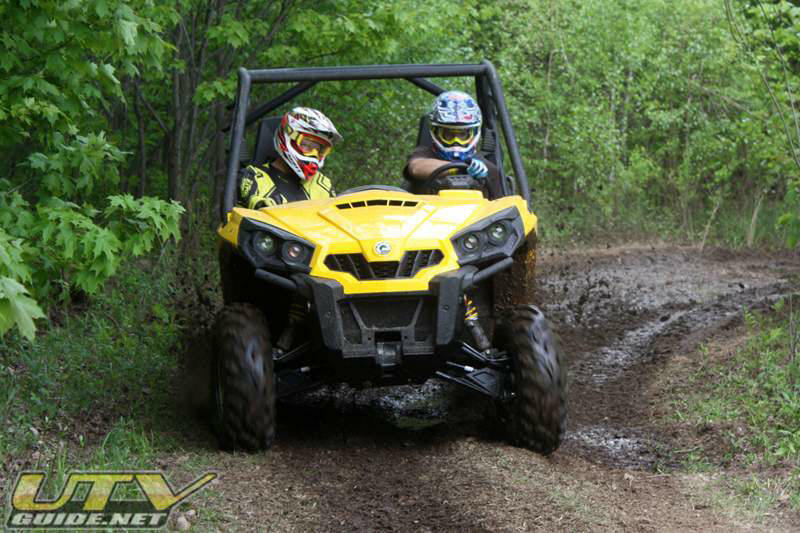 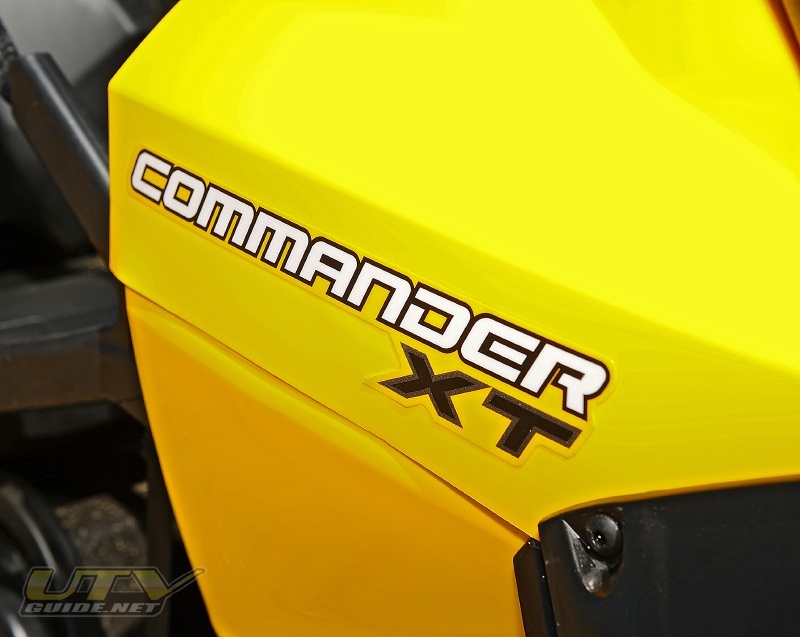 In 2011, BRP completes its side-by-side lineup with the Can-Am® Commander™ 800R and Commander 800R XT™. 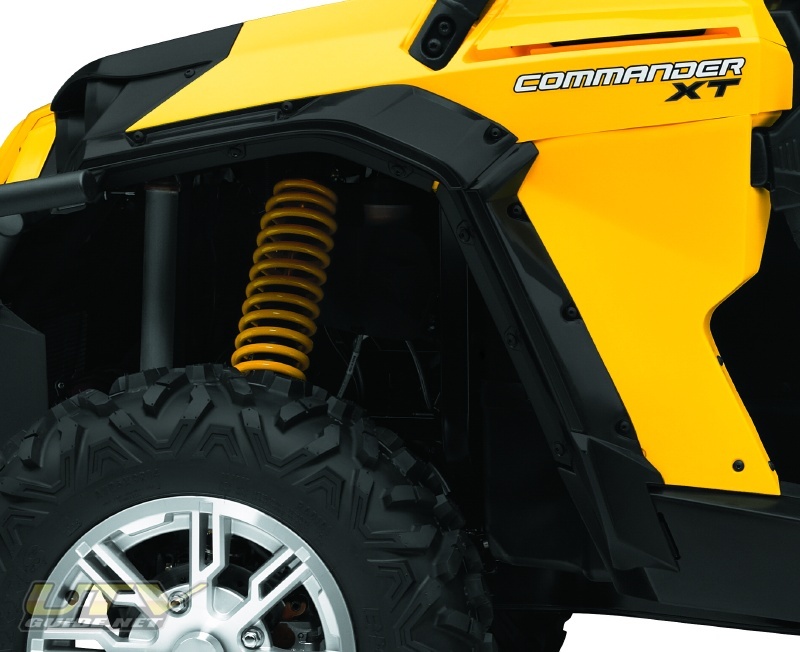 As with the Commander 1000 family, BRP’s Can-Am engineers and designers worked hard to create a side-by-side vehicle that sets a new industry benchmark in performance, handling, comfort and convenience. 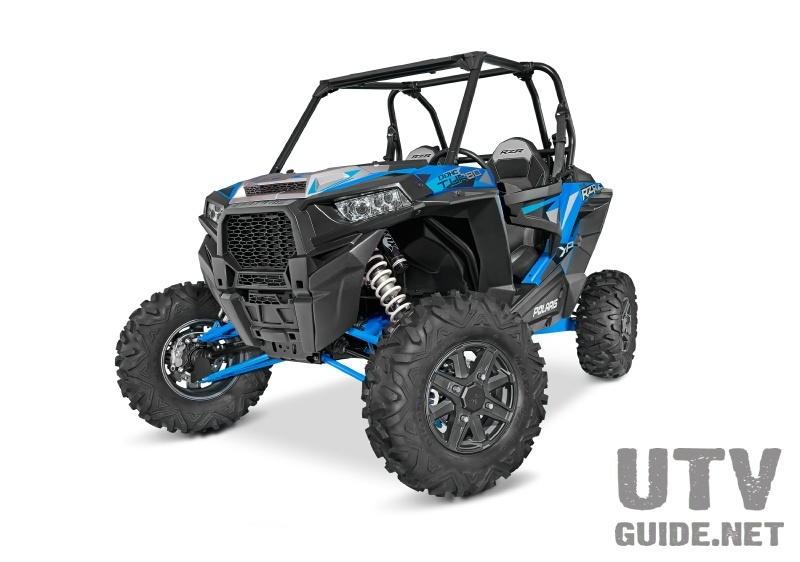 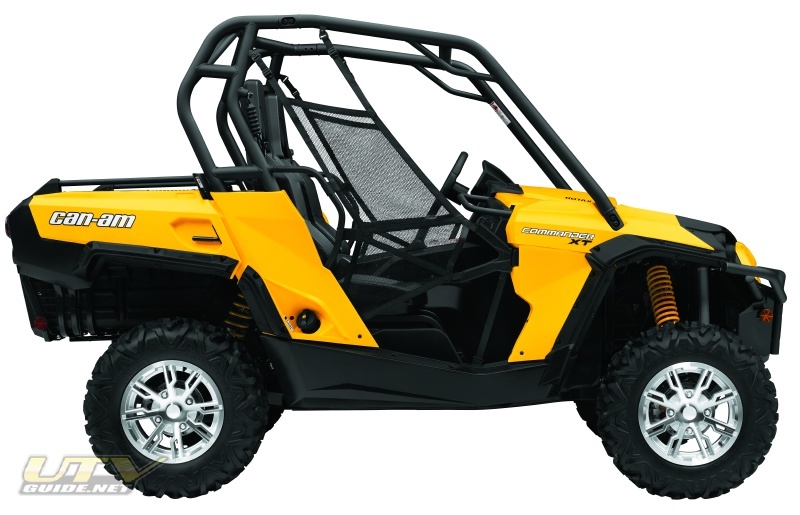 Each model features the powerful 71-HP Rotax® 800 EFI V-Twin powerplant, which is only bested in power by the Rotax 1000 EFI V-Twin engine, meaning the Commander 800R is the most powerful* side-by-side under 1000 cc. 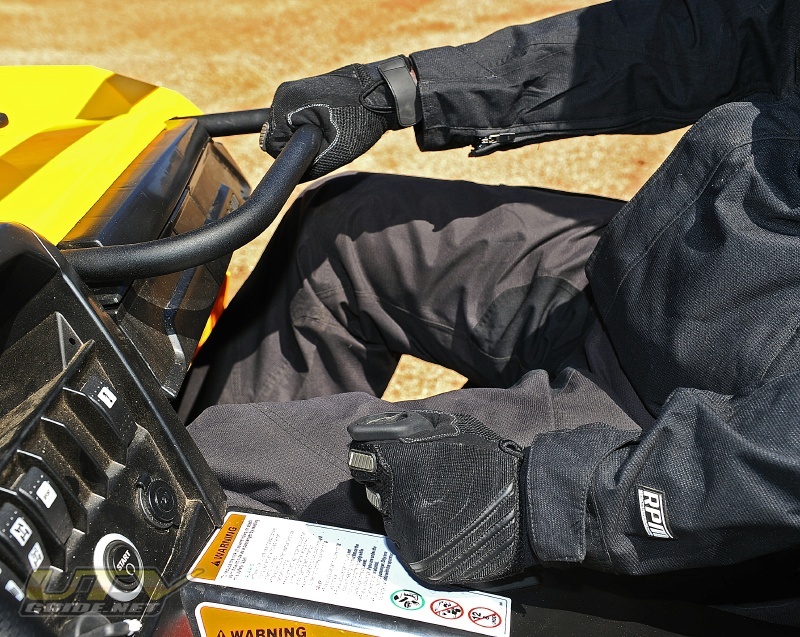 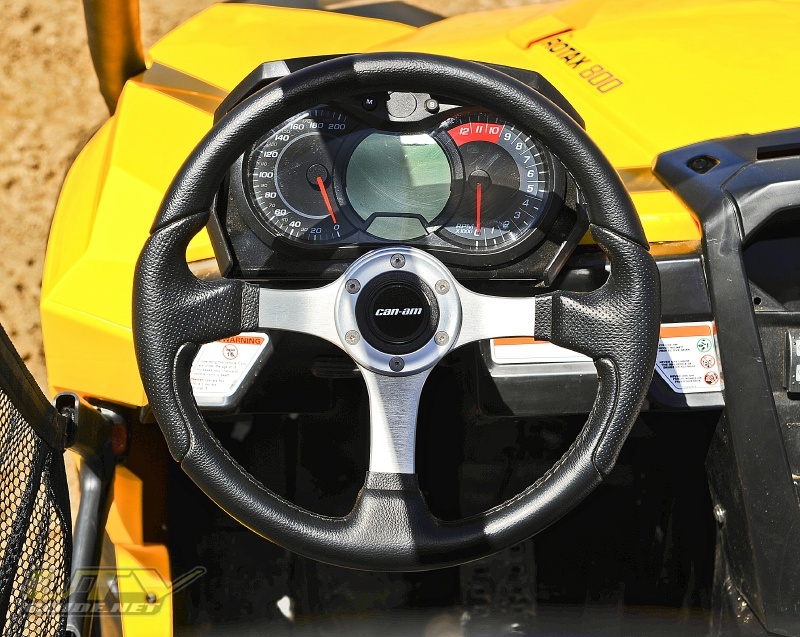 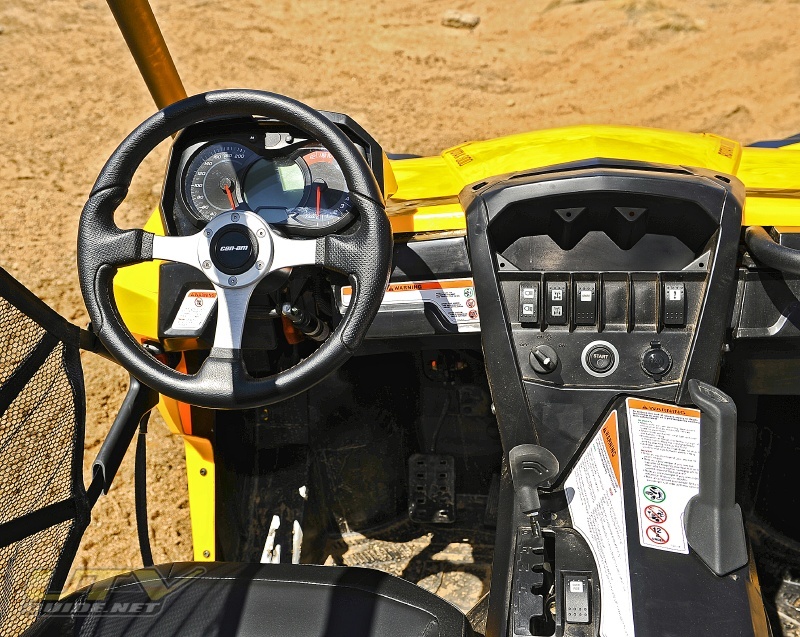 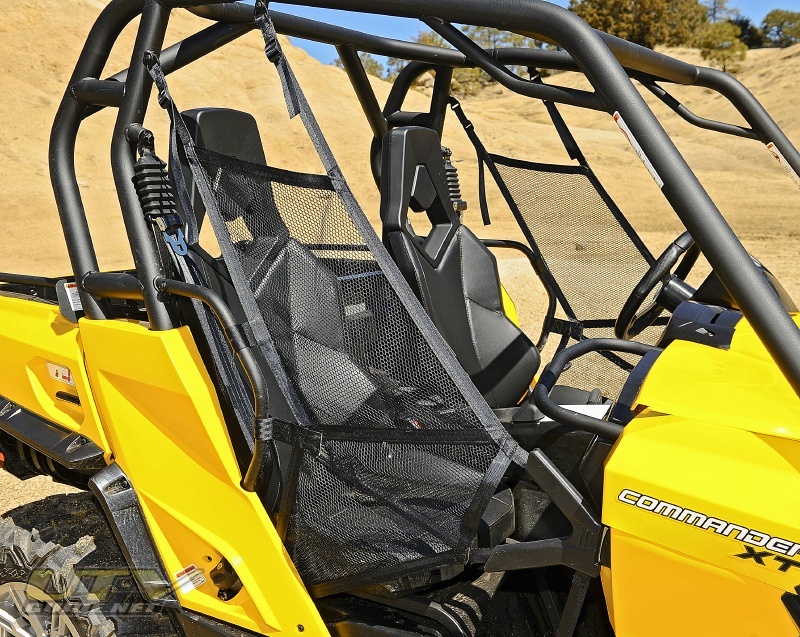 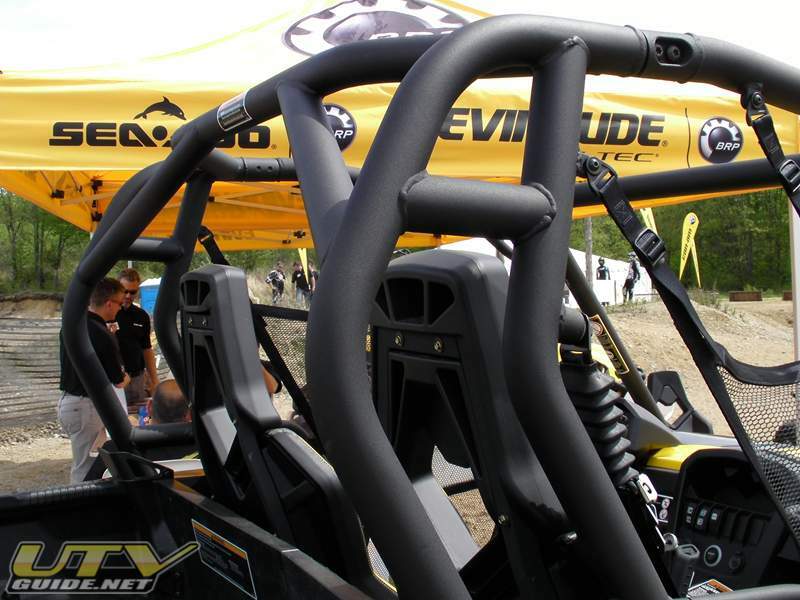 Each of the Commander 800R models brings a host of innovative features to the industry, like: Dual-Level™ cargo bed; throttle-by-wire Intelligent Throttle Control system (iTC™), a 2-inch diameter, high-strength steel cage that is ROPS approved; Torsional Trailing arm Independent (TTI) rear suspension design, removable, free-standing full-bolster driver and passenger seats; a driver seat that requires no tools to adjust; quick-attach side nets and more. 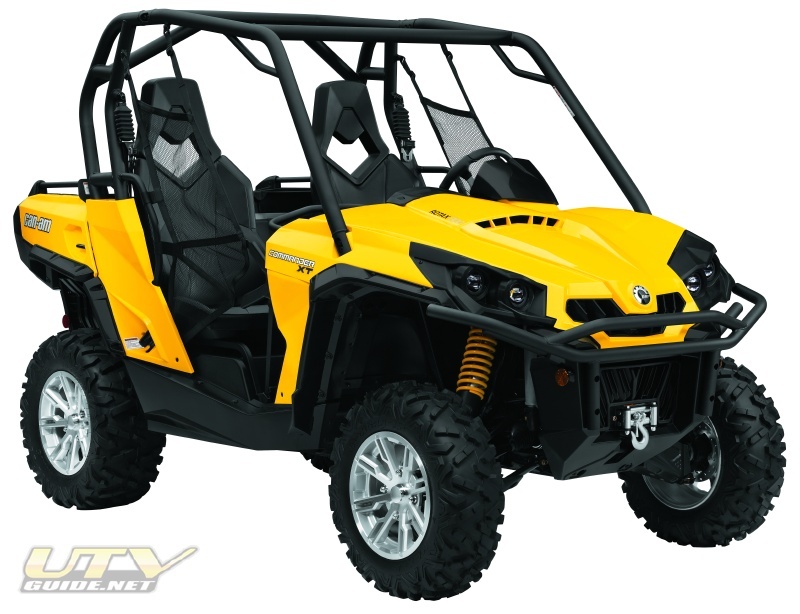 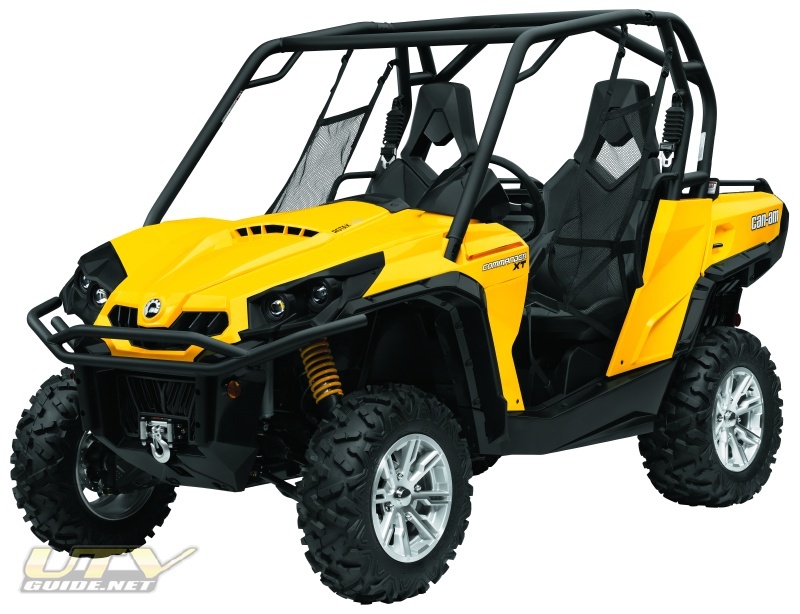 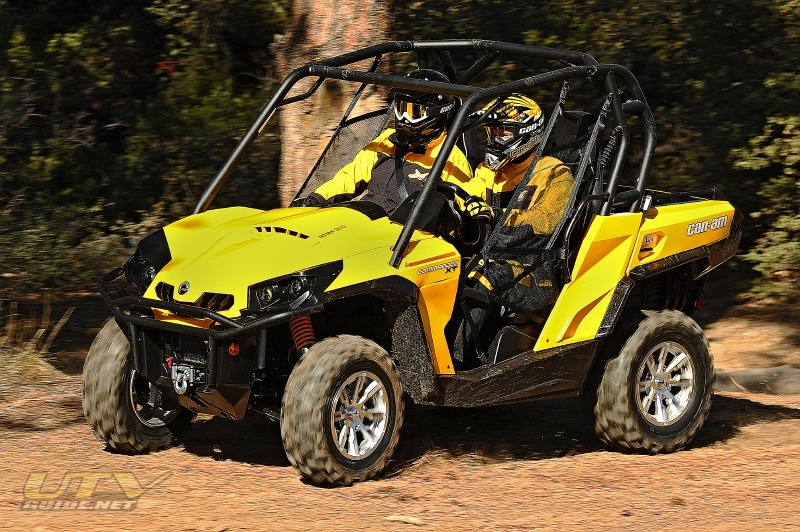 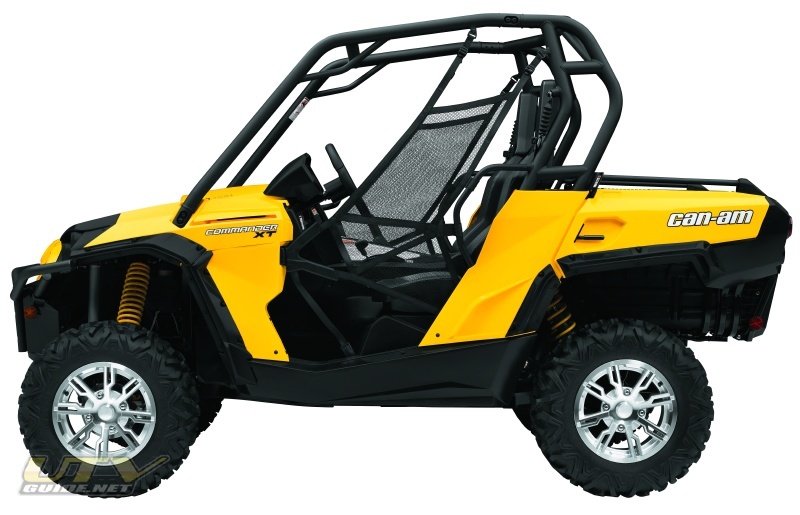 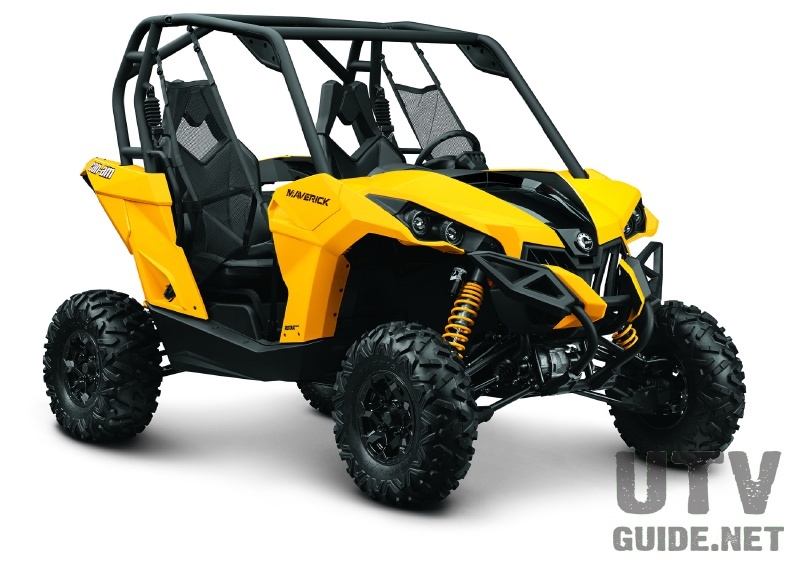 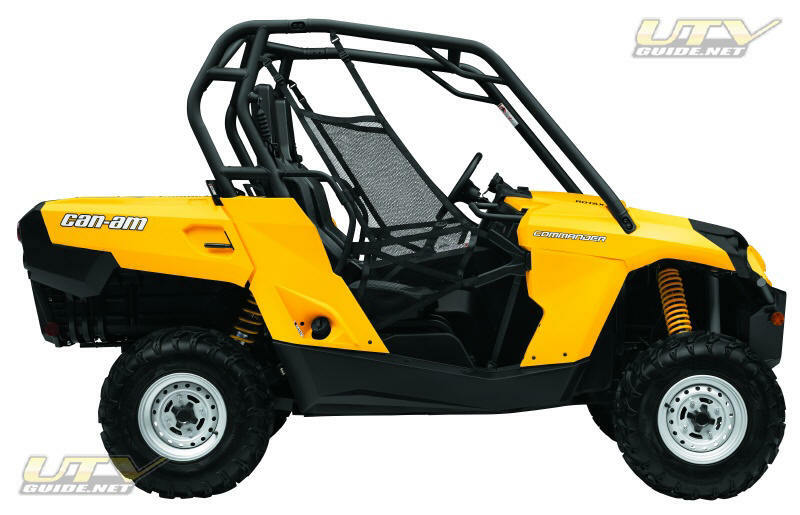 The Commander 800R line also features sleek styling with a strong Can-Am DNA presence. Available in yellow or an industry-exclusive NEXT‡ G-1 Vista camouflage. 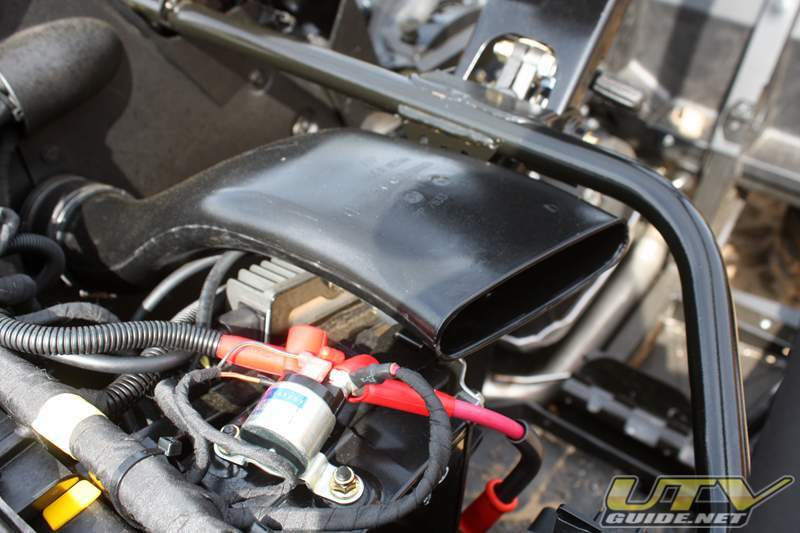 Rotax® 800 V-Twin EFI engine // The liquid-cooled, single overhead cam Rotax 800 V-Twin EFI power plant has four valves per cylinder and is fed by a 46mm throttle body and two VDO Siemens‡ fuel injectors. 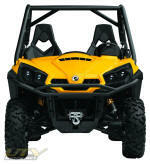 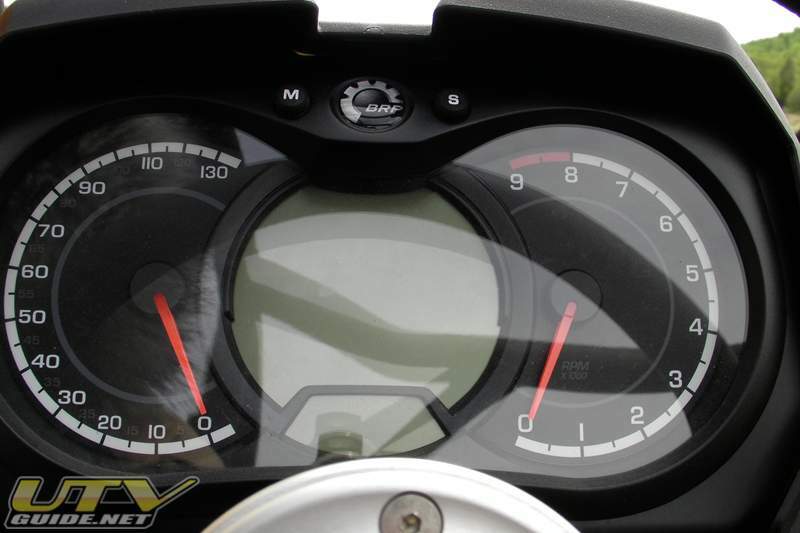 Total power output of the engine is 71 HP, meaning the Commander 800R is the most powerful* side-by-side under 1000 cc. 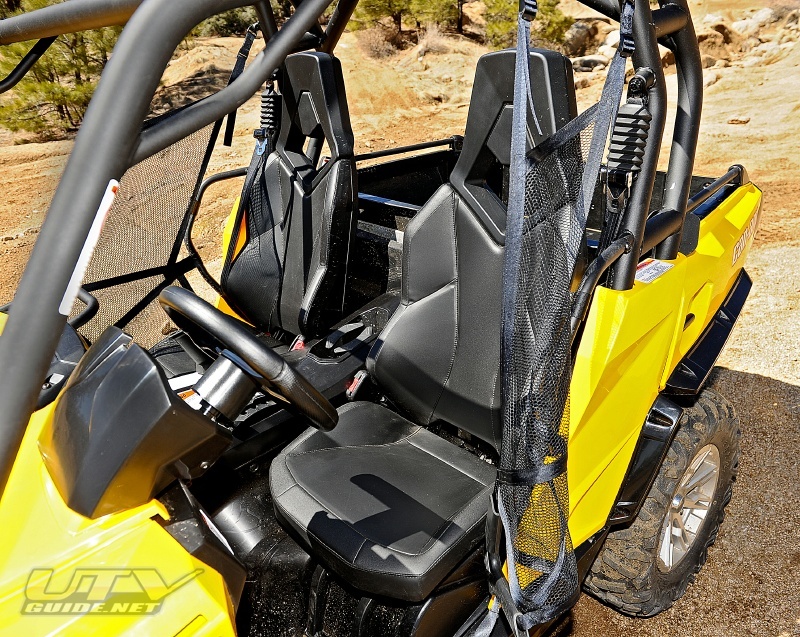 The sophisticated electronic fuel injection system automatically keeps the engine’s performance at its peak, regardless of temperature or altitude. 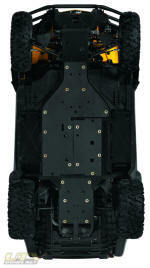 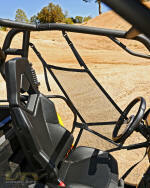 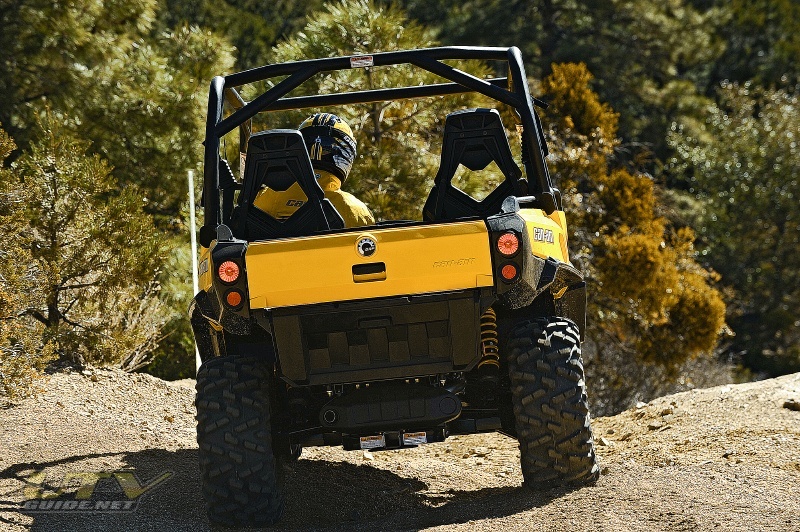 The progressive throttle ensures power is manageable whether in precise rock crawling or opening it up on the straights. 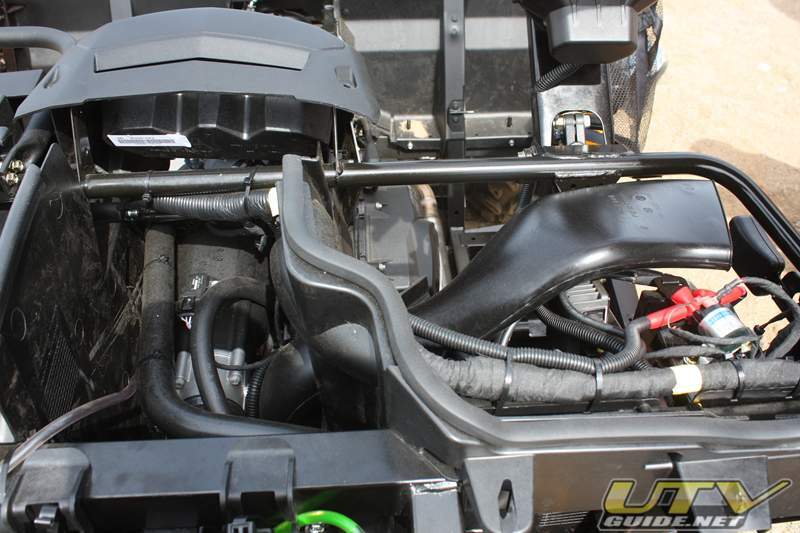 Industry-leading fuel milage // Not only is the Rotax 800 V-Twin EFI engine the most powerful under 1000 cc, it also has class-leading fuel mileage. 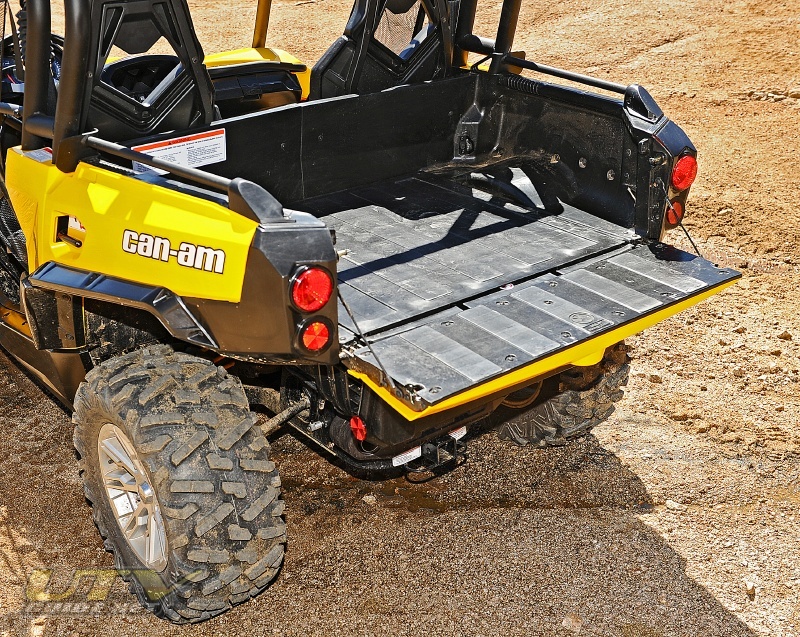 Meaning you can stay on the trails longer. 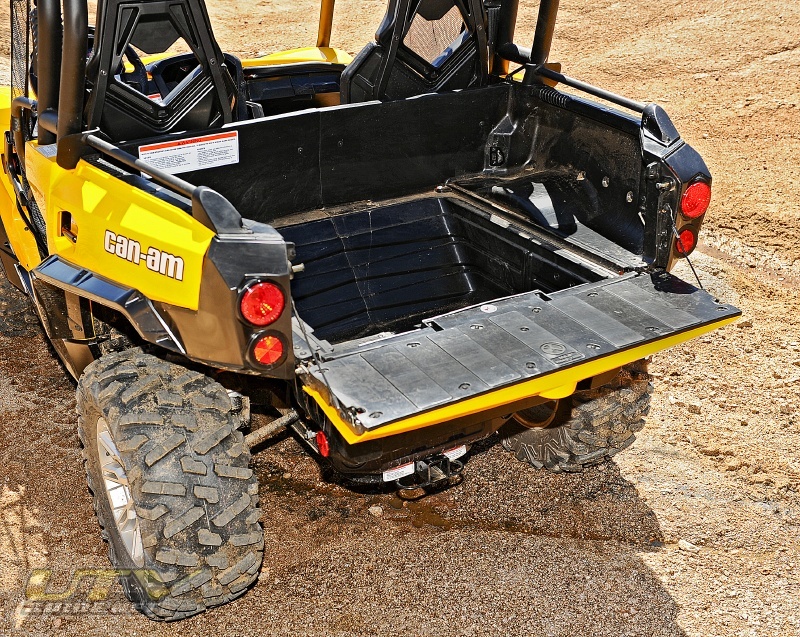 Dual-Level cargo box // BRP’s Can-Am Commander 800R features the industry’s first cargo box with two levels separated by a removable, water-resistant panel. 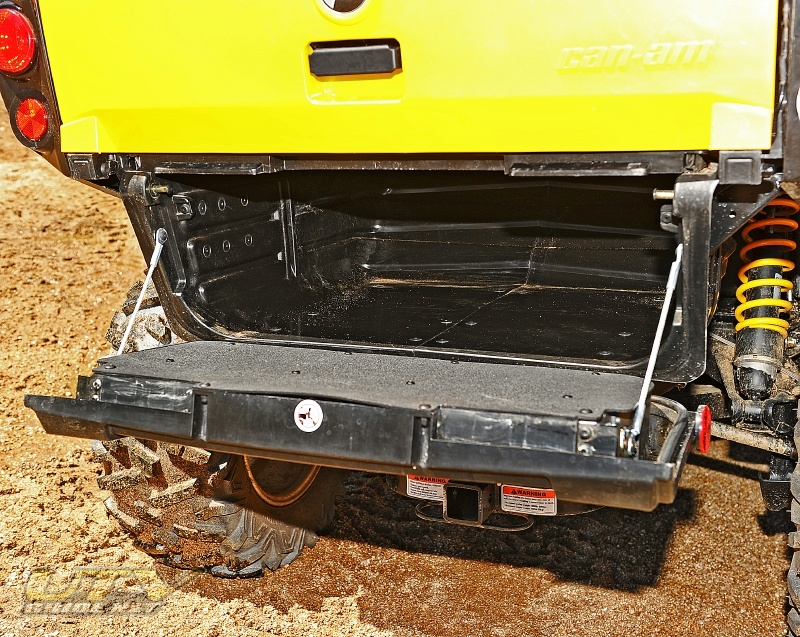 It offers the possibility to have an upper and a lower bed with an independent tailgate. 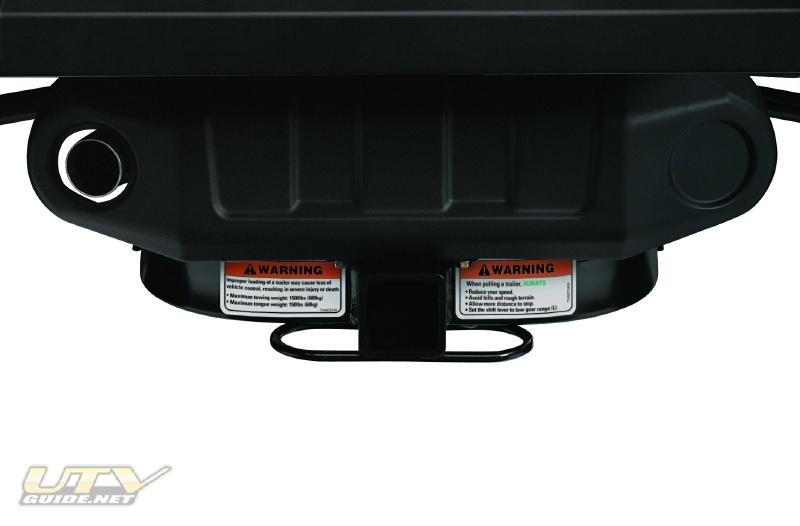 Carrying capacity of the box is 600 lbs. 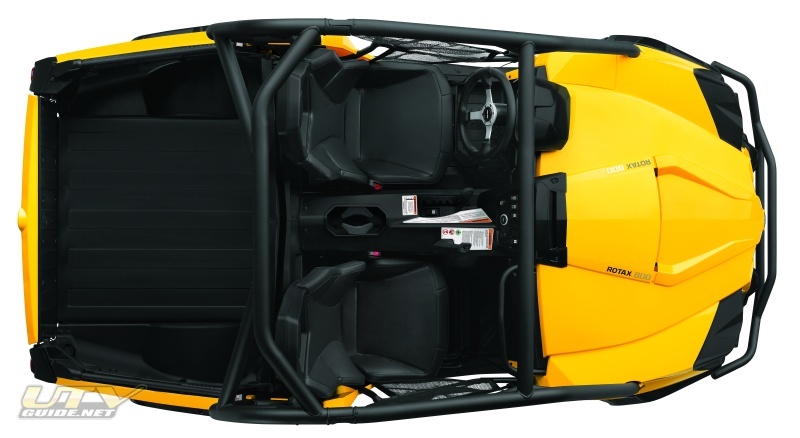 total capacity. 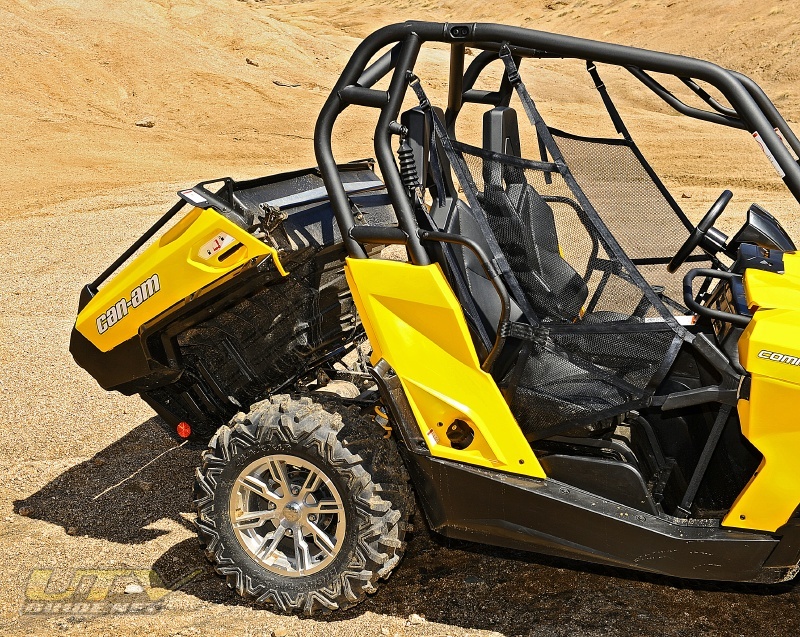 (400 lbs. 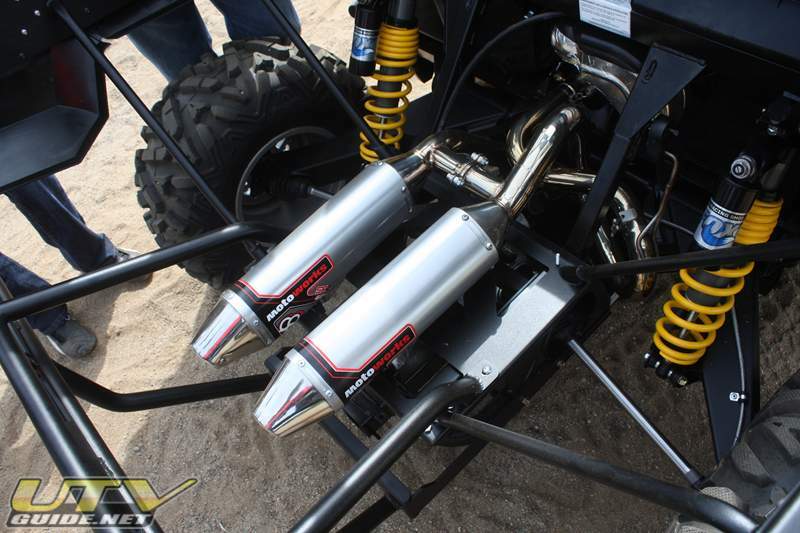 upper, 200 lbs. 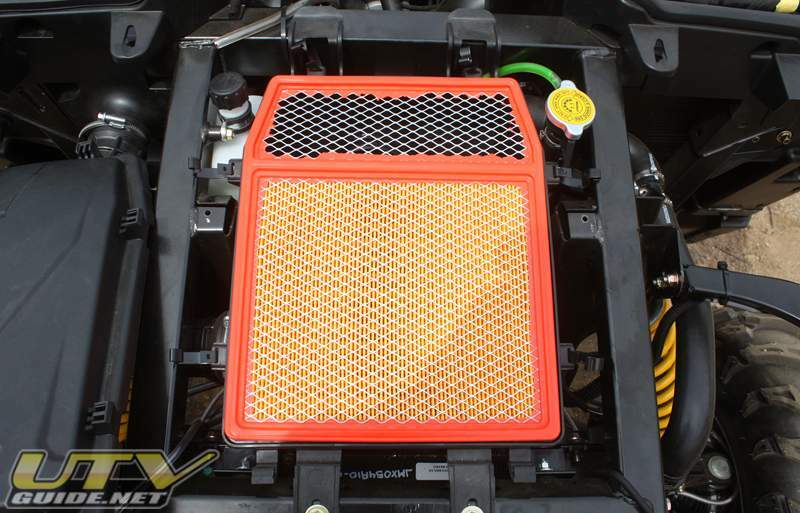 lower) and has the most volume capacity in the market. 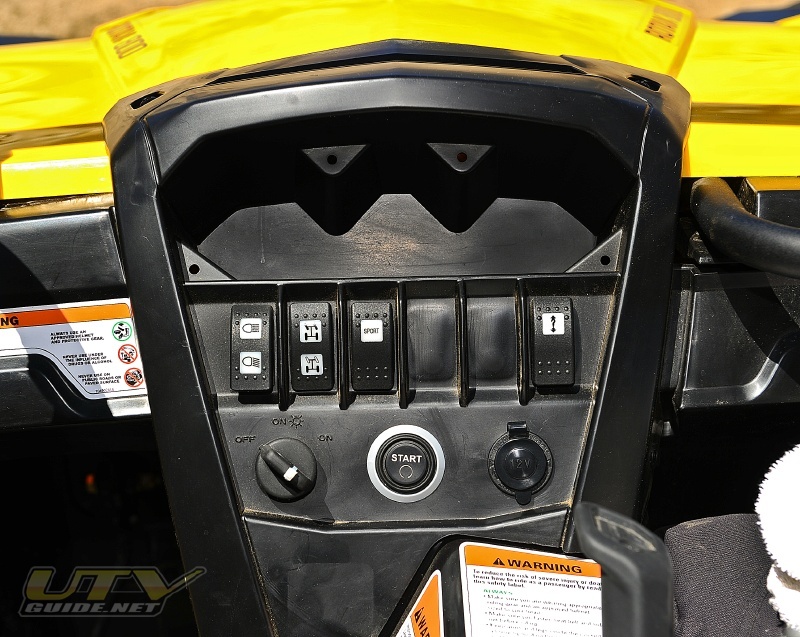 The tilt-assist dump-box can be easily activated from both sides. 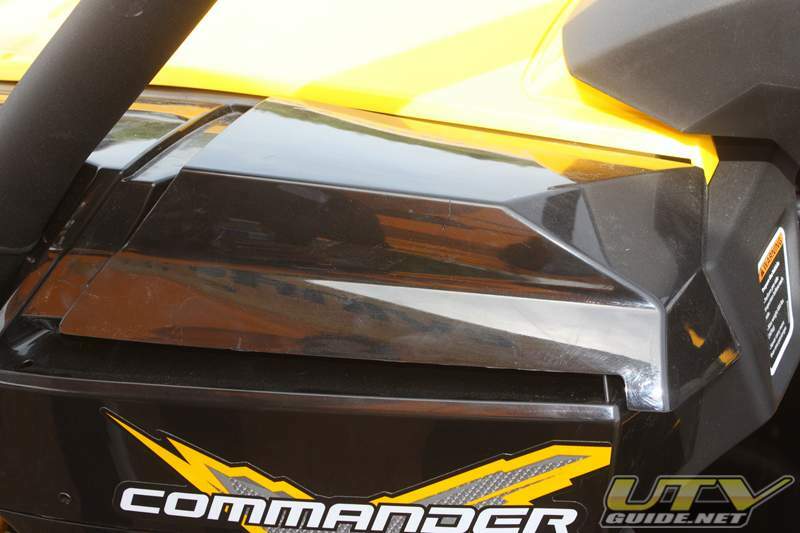 The Commander’s box is constructed of high-strength, anti-rust and anti-dent composite. 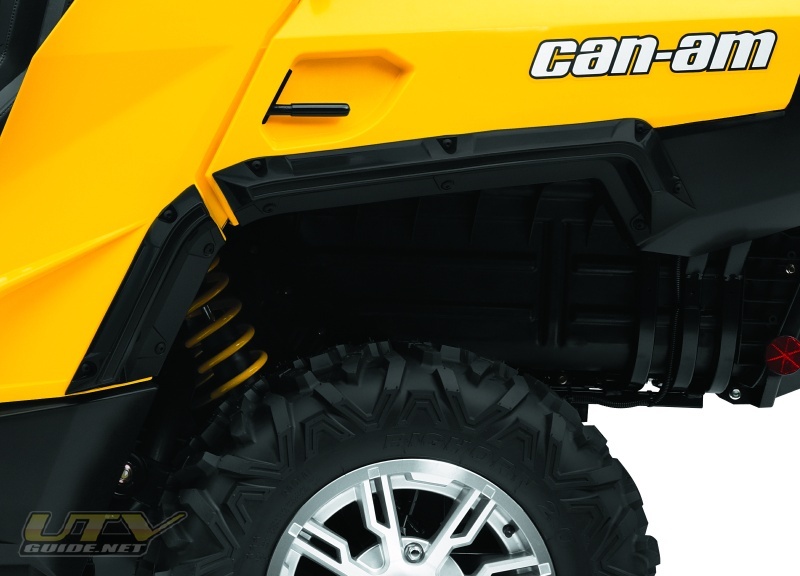 Easily removable tail gates (upper and lower), no-tools needed with single latch, truck-like, upper and lower tail gate with four tie down hooks located in corners. 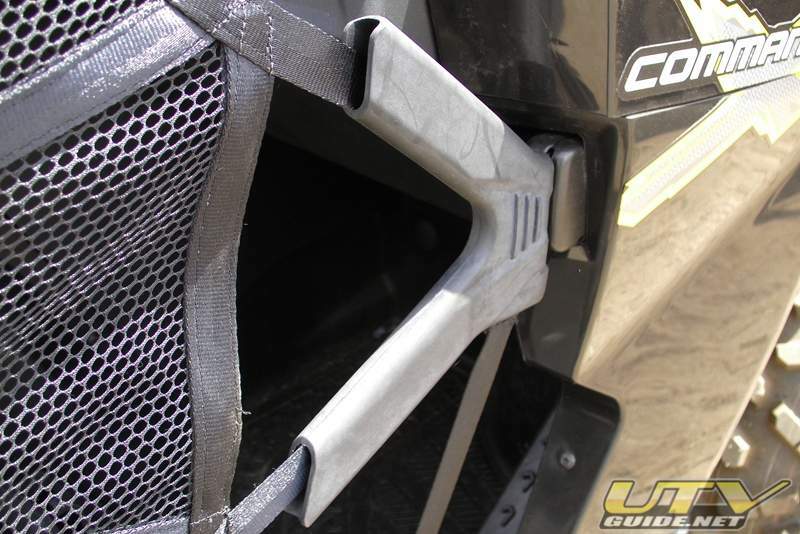 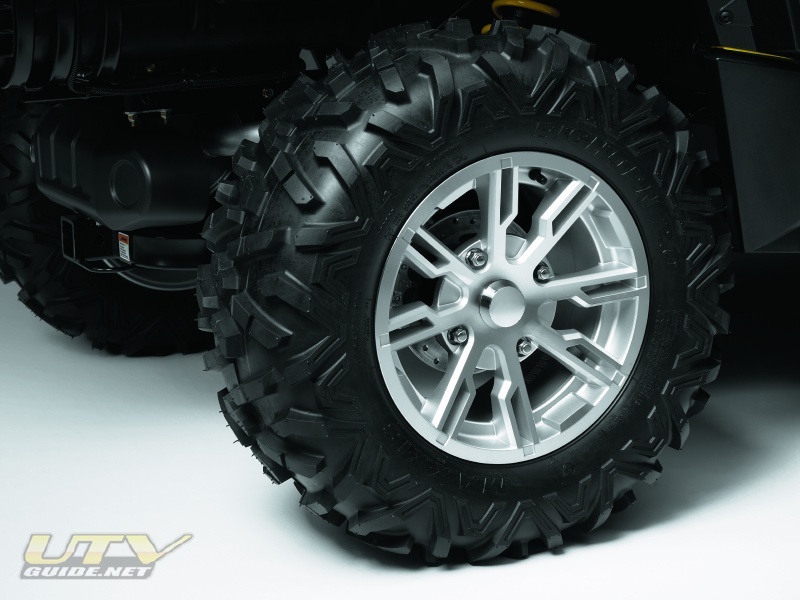 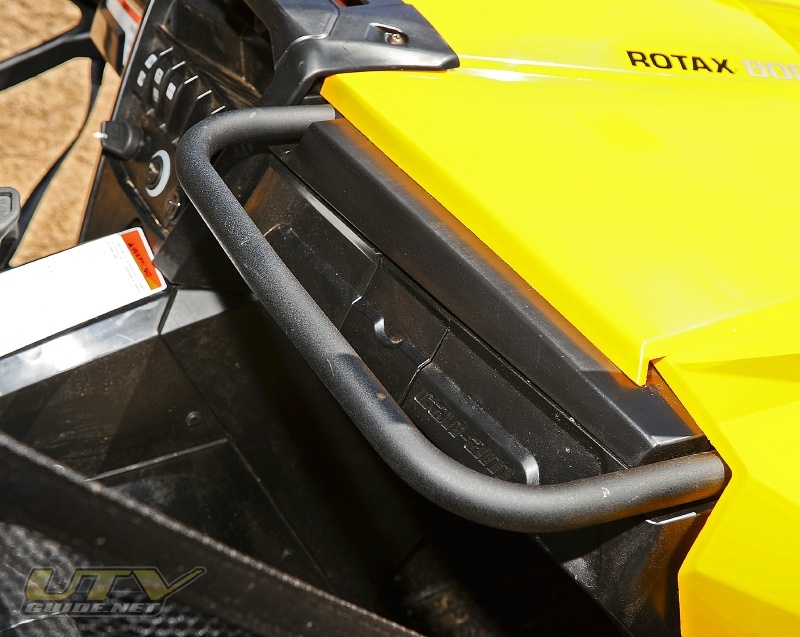 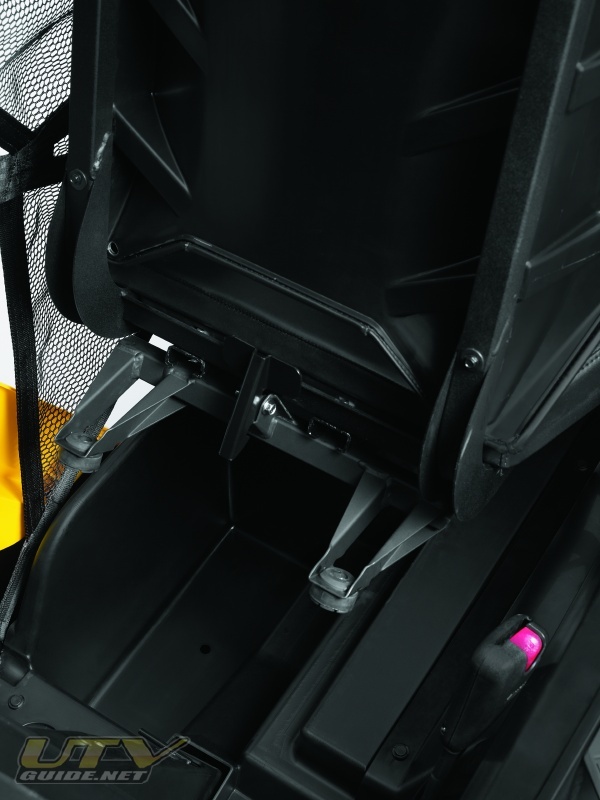 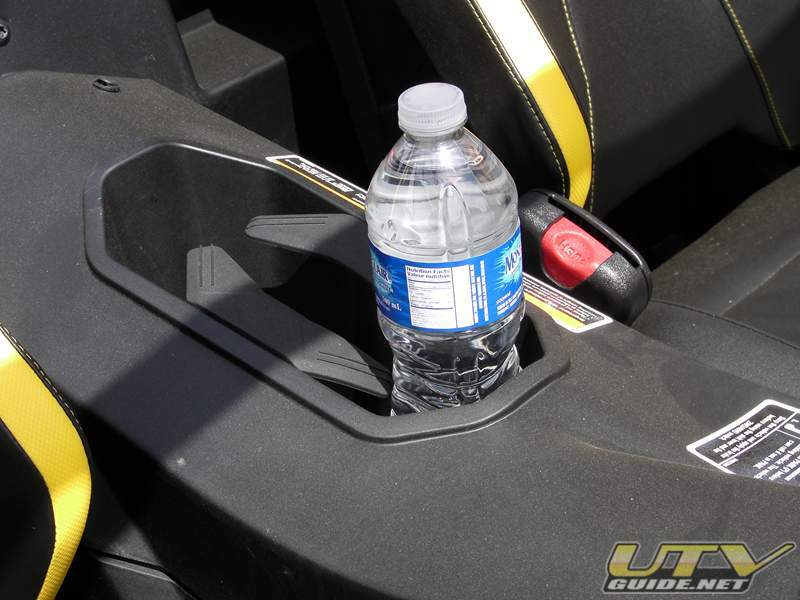 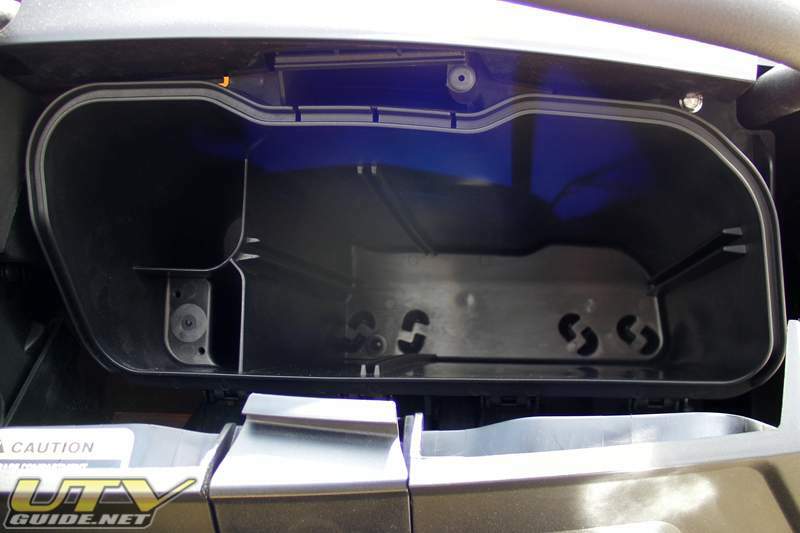 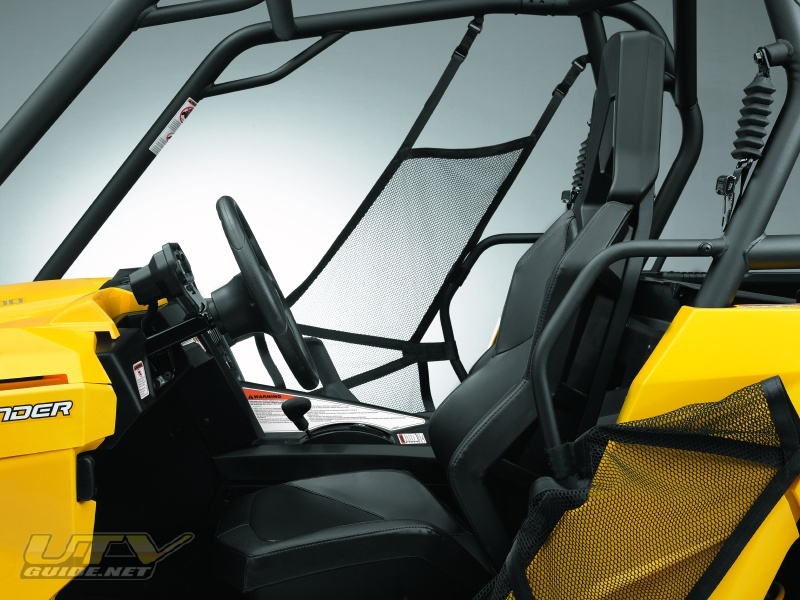 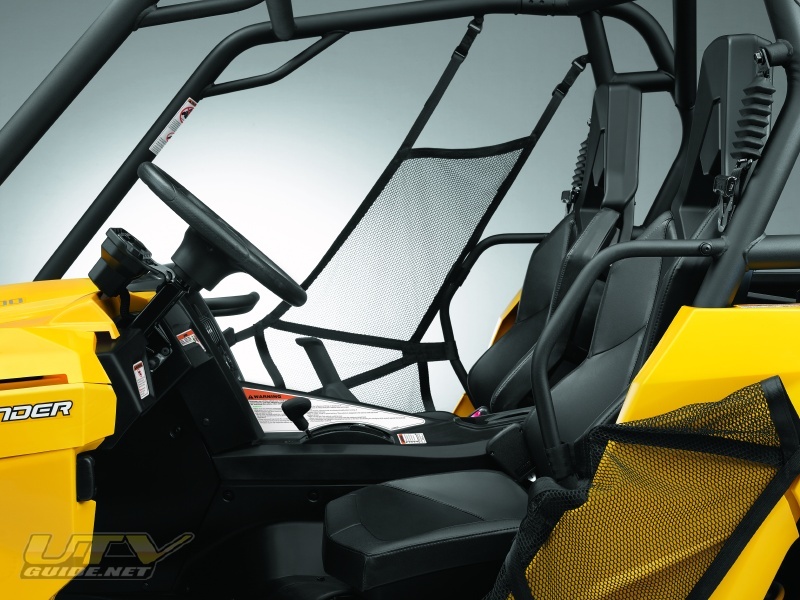 There are also integrated vertical grooves for plywood dividers and the Can-Am Commander also comes with an optional trunk lock as an accessory to secure the lower level. 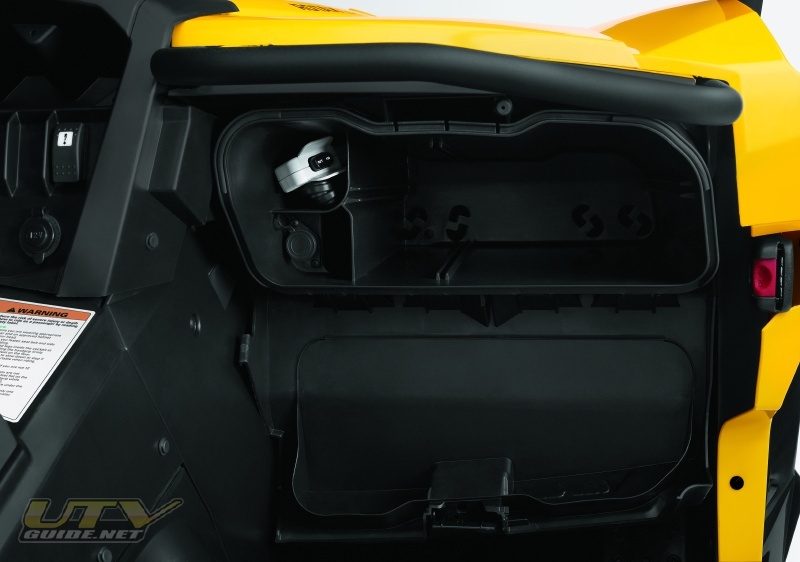 1,928 cubic inches (31.6 litres) cockpit storage // The Can-Am Commander 800R family features the most cockpit storage in the industry with almost 2,000 cubic inches of storage in three separate compartments. 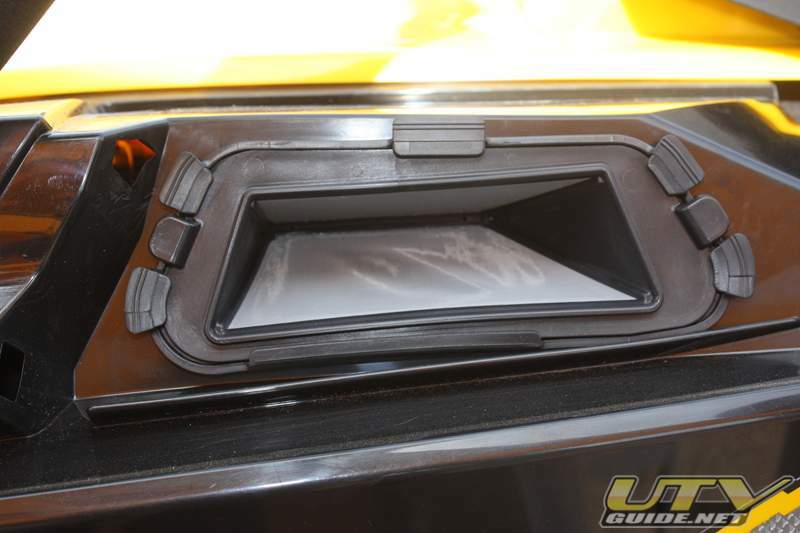 The glove box features 1,050 cubic inches of storage that can be divided into separate sections. In the center console, easily accessible by both the driver and passenger, features 79 cubic inches. 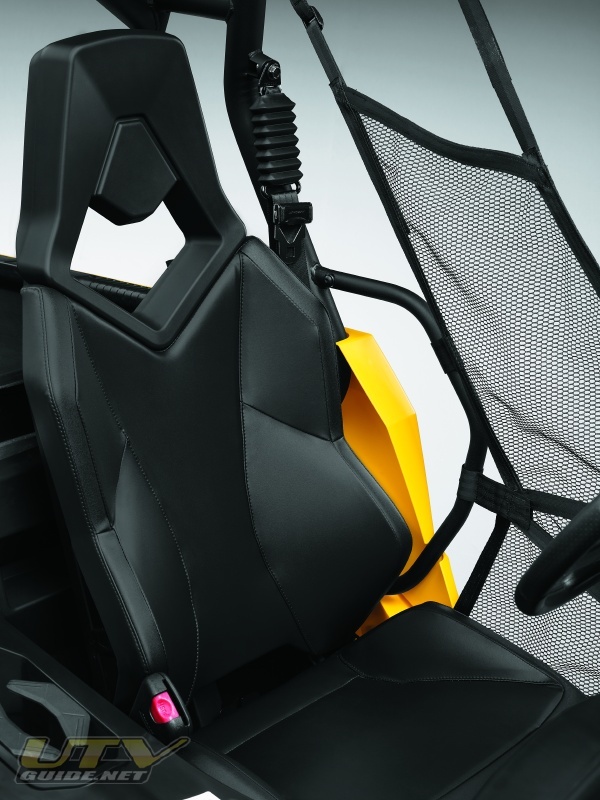 Finally, there are 799 cubic inches of storage under the fully adjustable driver’s seat. 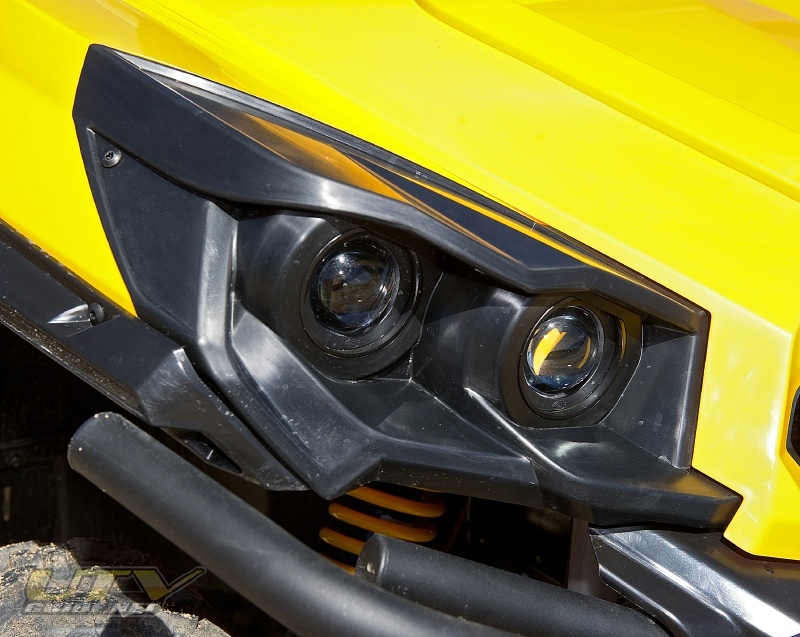 240-watt lighting system // The Can-Am Commander 800R family of side-by-side vehicles features the industry’s best lighting system at 240 watts. Dual left and right automotive-style projectors run at 120 watts in low beam and 240 watts in high-beam mode. 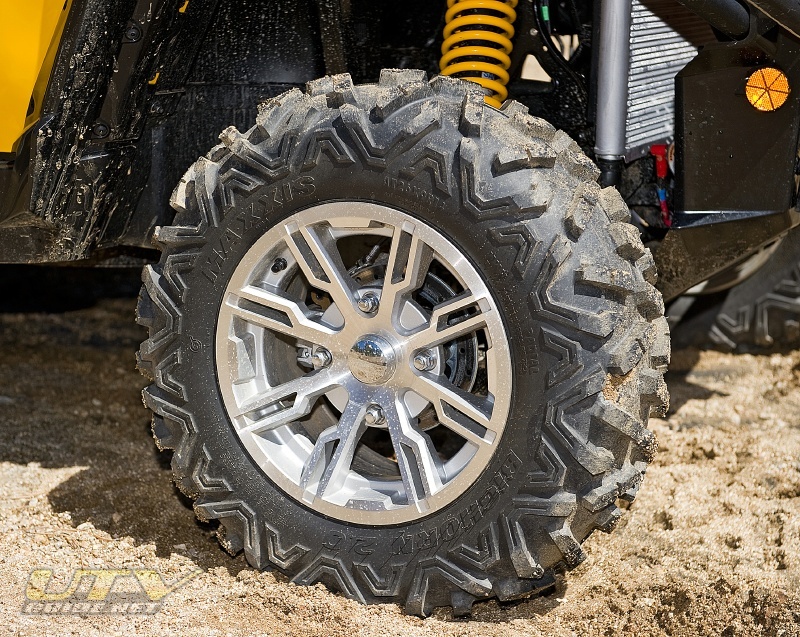 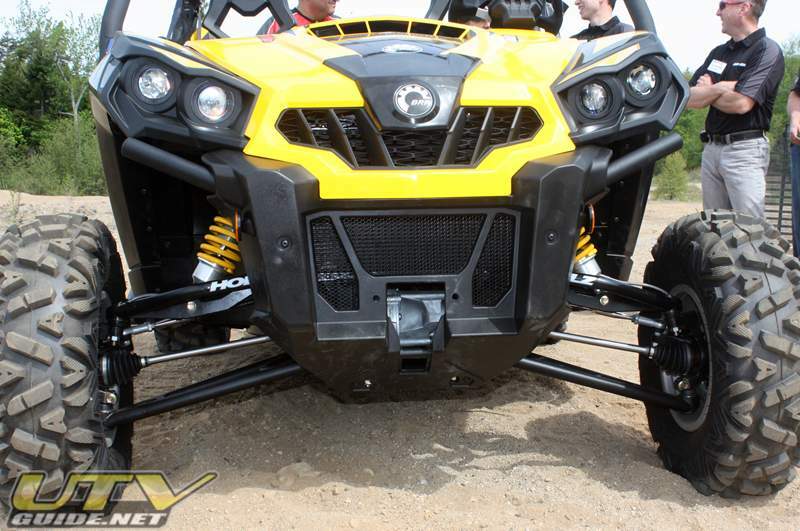 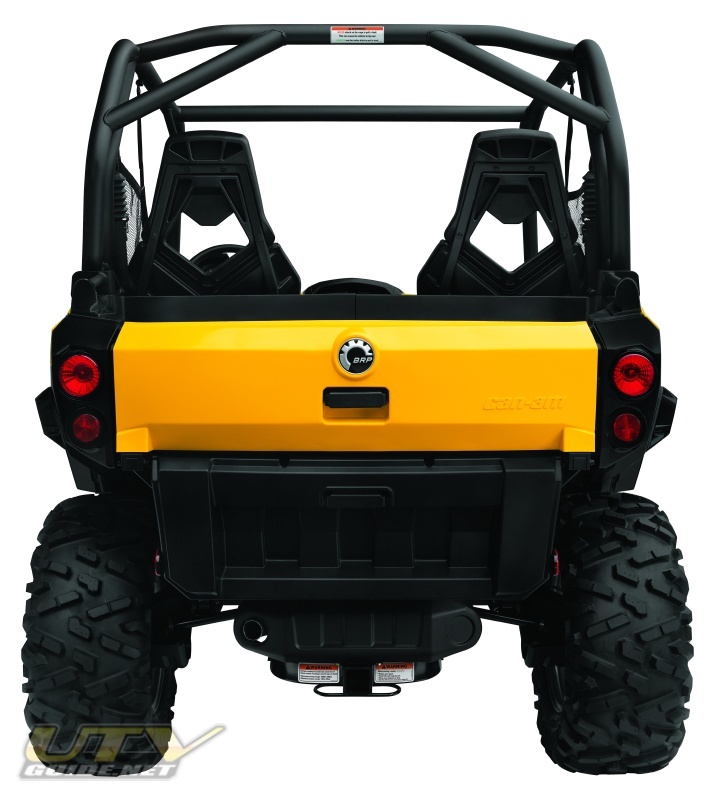 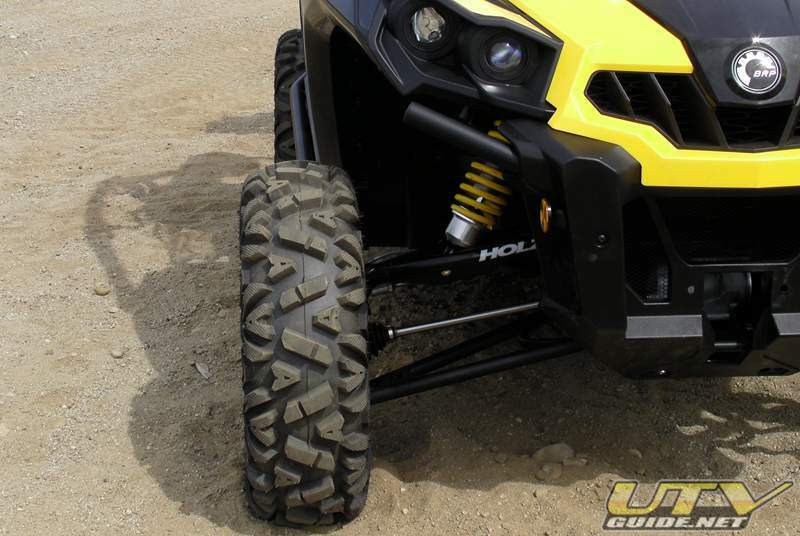 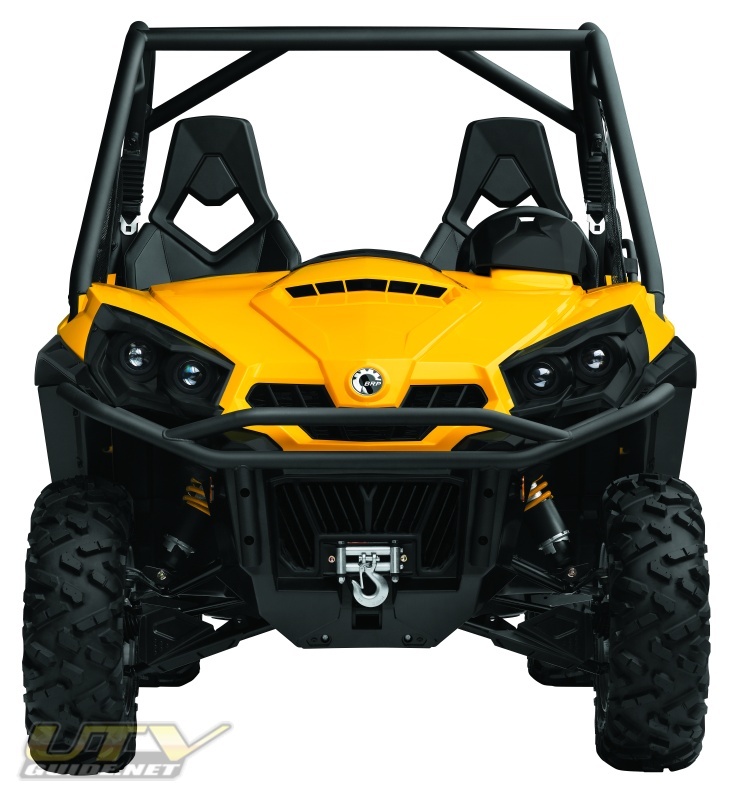 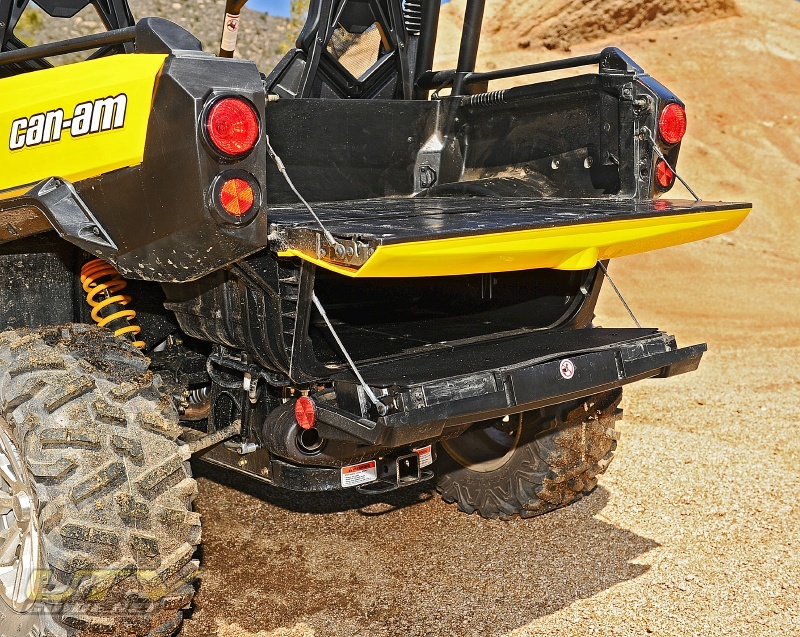 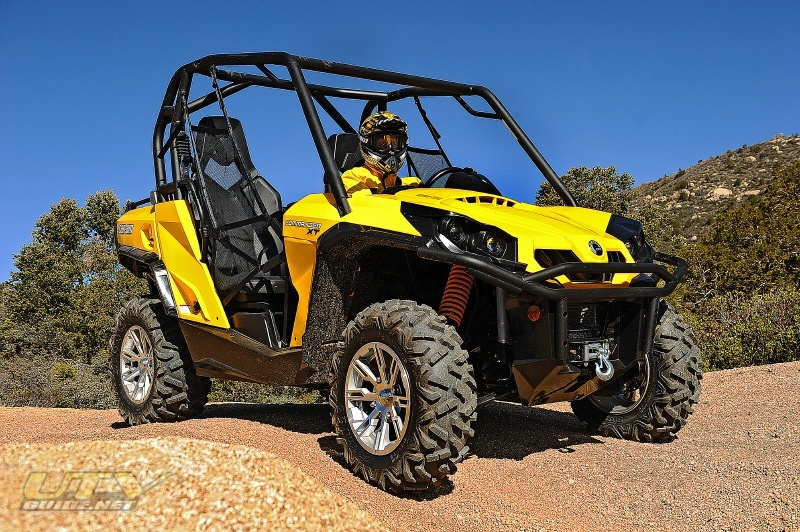 1,500 lbs (680 kg) towing capacity // The Can-Am Commander 800R family features 1,500 lbs. of towing capacity allowing the user to tow heavy loads. 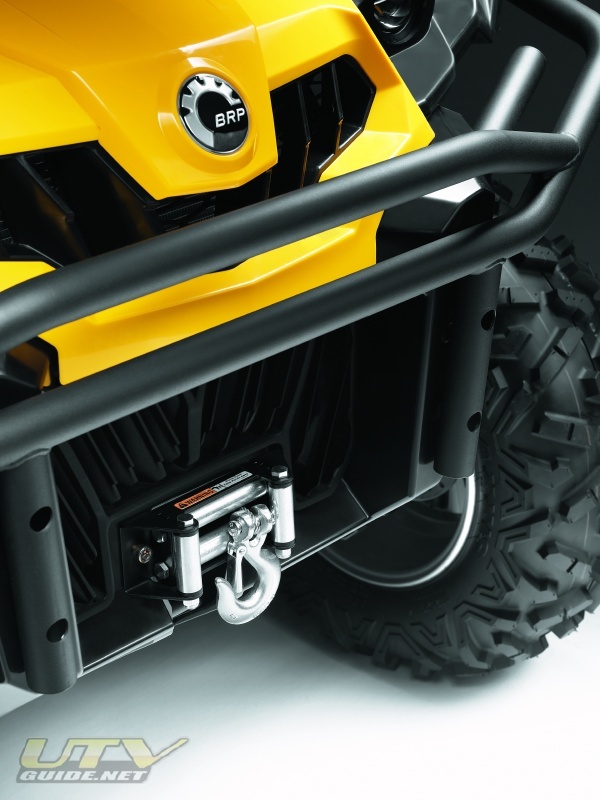 2-inch rear hitch receiver // The rear of the vehicle features a standard two-inch hitch receiver allowing for a standard vehicle towing bar and ball to be used with the Commander 800R family. 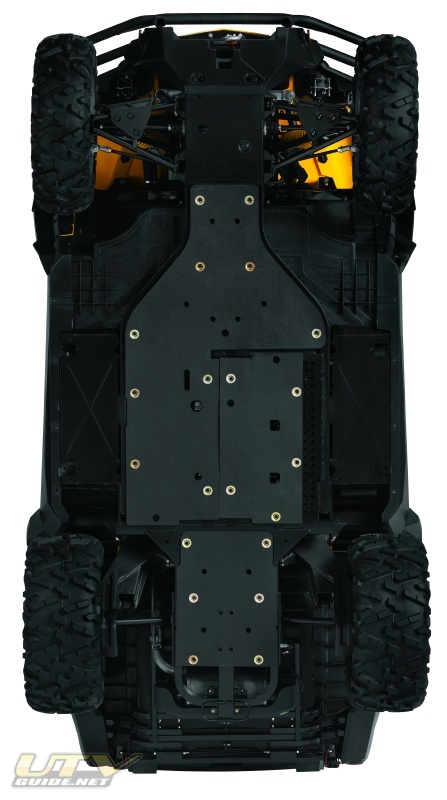 650-watt magneto // The Commander 800R has the largest magneto in the industry, a full 30-percent more than its nearest competitor. 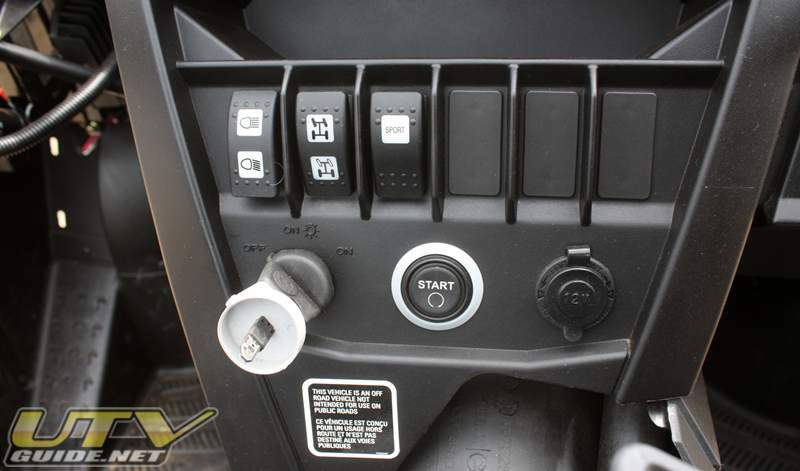 This means the electrical system can dedicate up to 300 free watts to power accessories like extra lighting, GPS systems, radios, speakers and more. 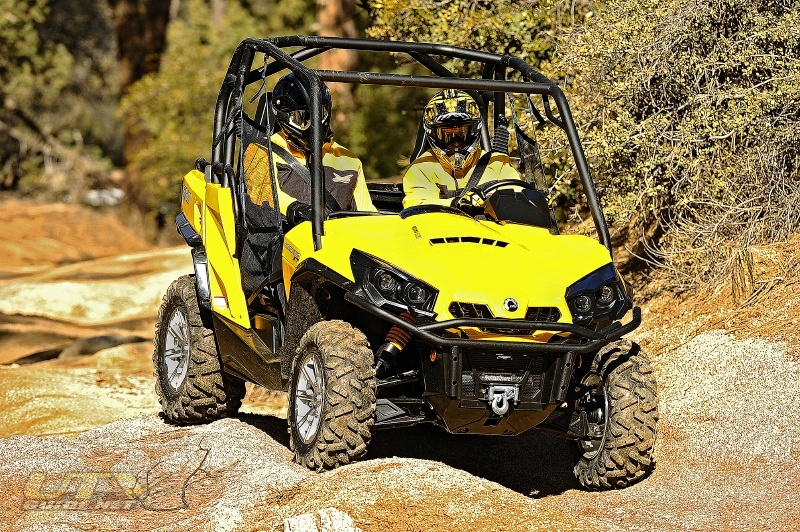 Base color option // The Commander 800R base model is available in a signature yellow color. 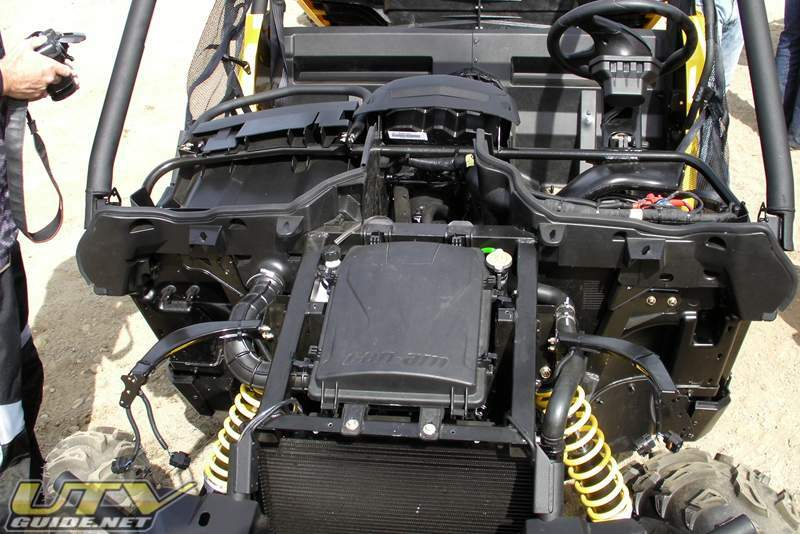 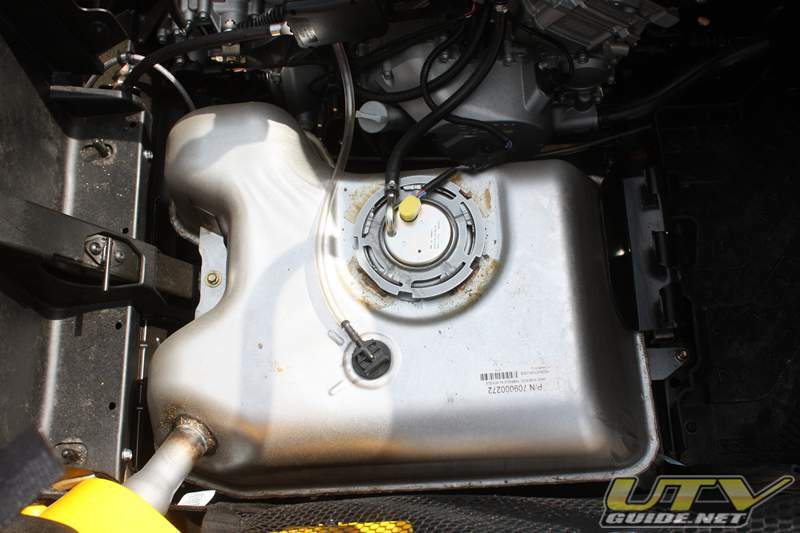 CVT Intake // The CVT Intake on the Commander is located high up on the driver's side of the vehicle just behind the roll bar. 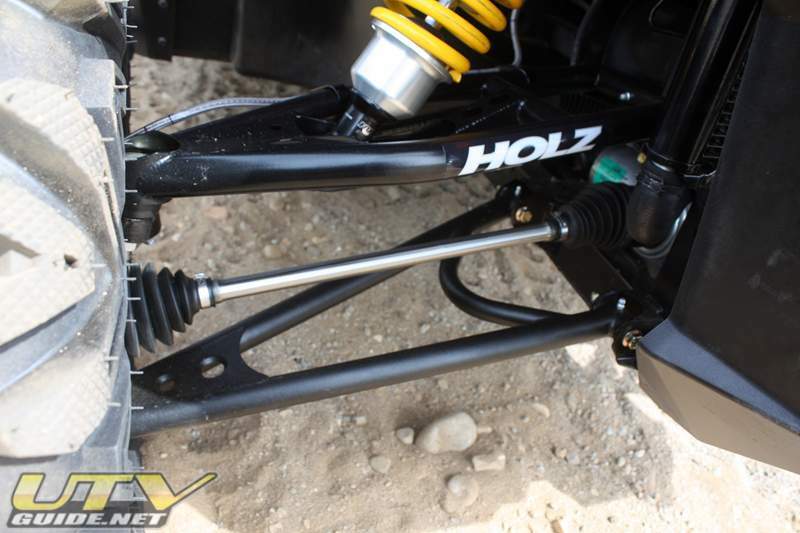 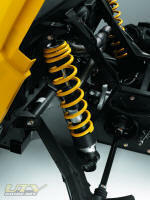 +3" Long Travel Suspension from Holz Racing Products. 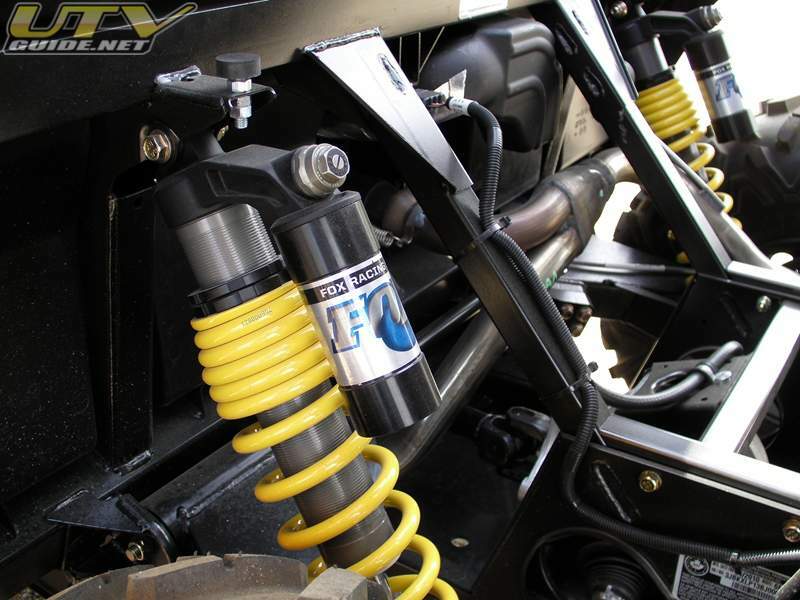 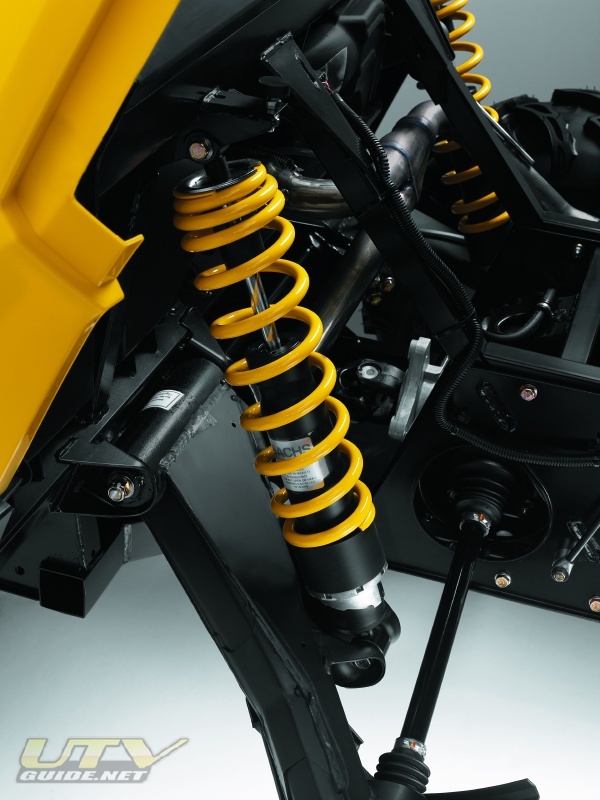 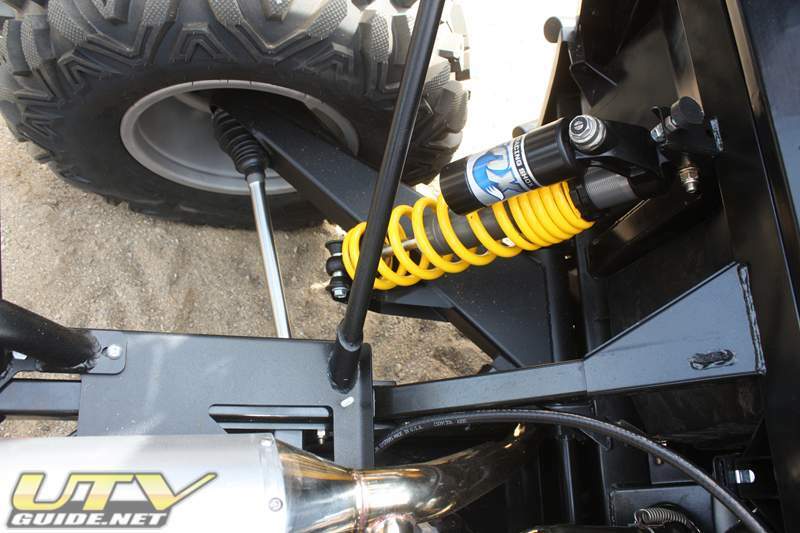 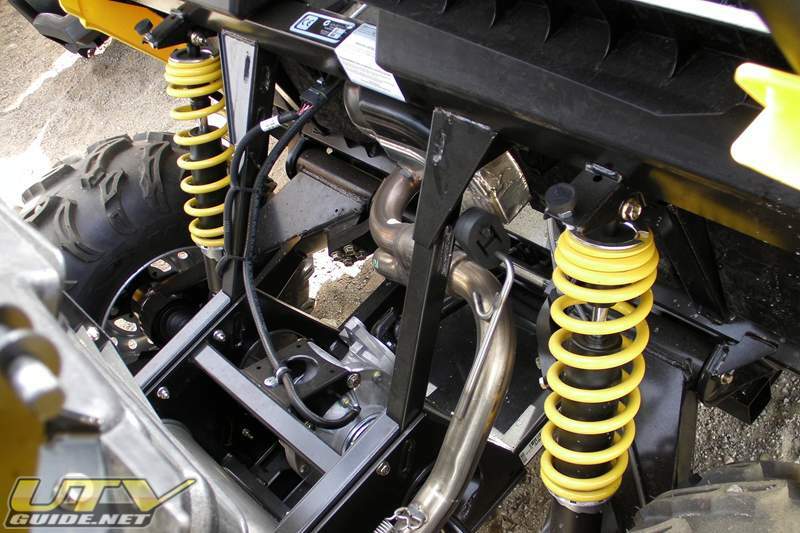 This kit uses standard length shocks and factory upper shock mounts.